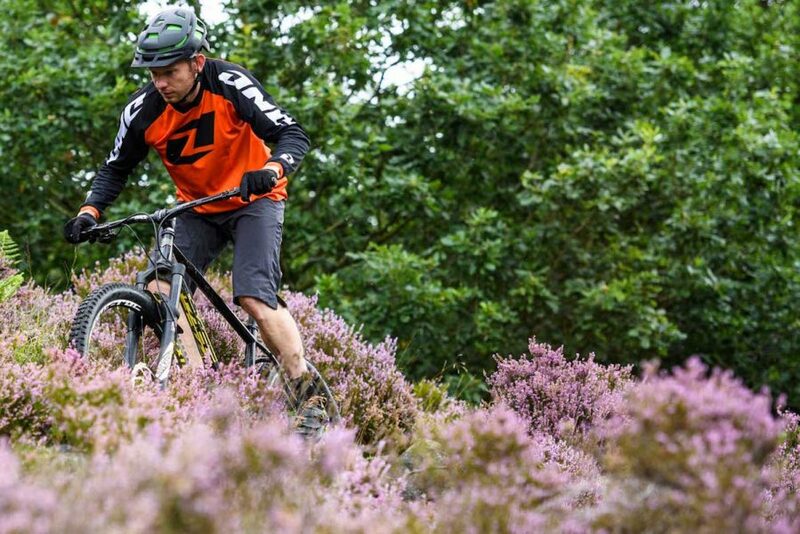 Rewind to Issue #104 of Singletrack Magazine, where Barney and the Grinder team take a look at what’s hot and what’s not in the world of the trail helmet. Note: All prices relevant at the time of publishing in March 2016. Contact your local dealer for up-to-date prices. 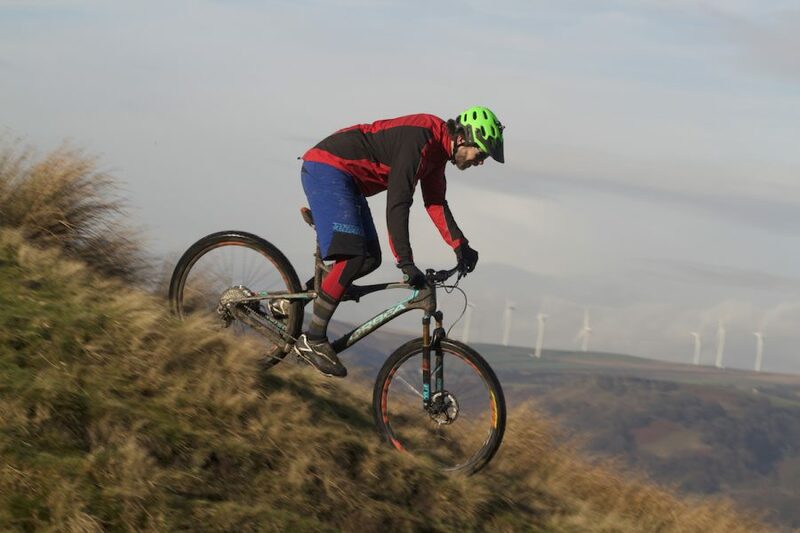 There are few things that can identify someone as a mountain biker as opposed to a run-of-the-mill cyclist; shorn of the obvious signifier (a mountain bike, duh) the two most obvious cues are baggy shorts, and the helmet. 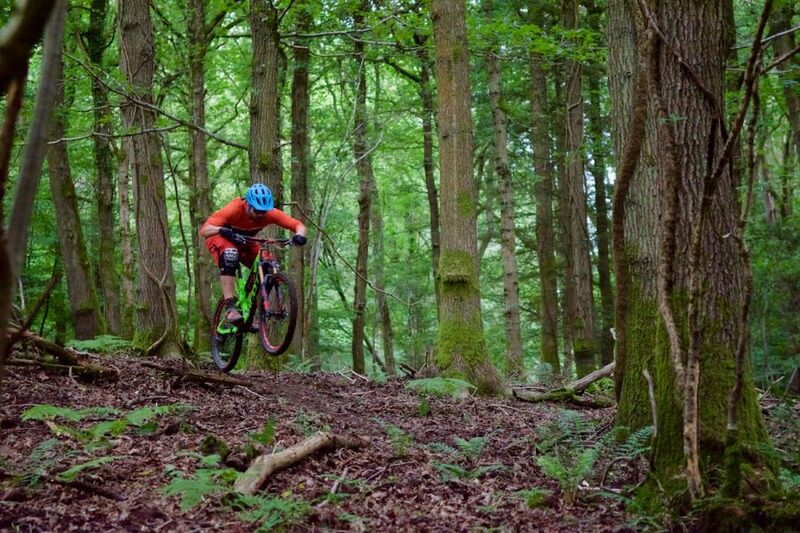 If we’re being honest, it’s the peak more than anything, but being mountain bikers, the type of helmet we choose also says a lot about the sub-clique we cleave to. 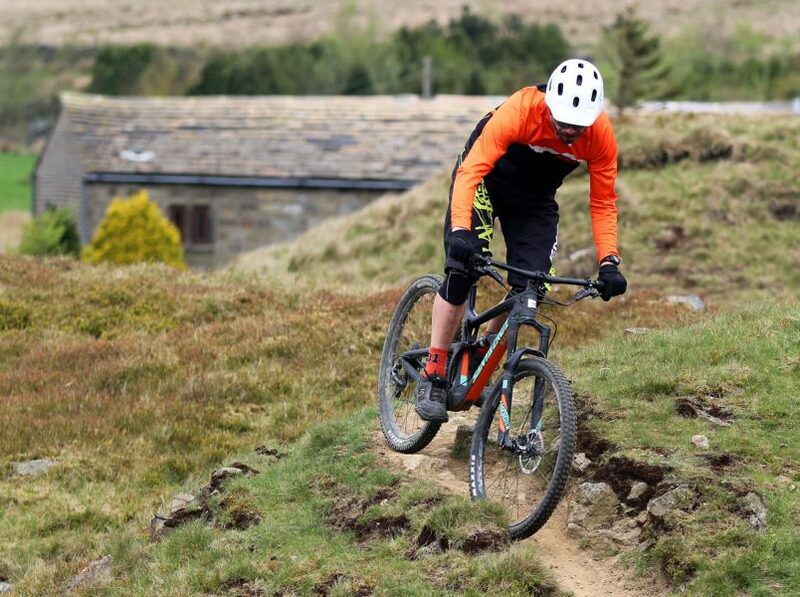 Barney Marsh is a mountain biker. The baggy shorts and the helmet peak are a dead giveaway. 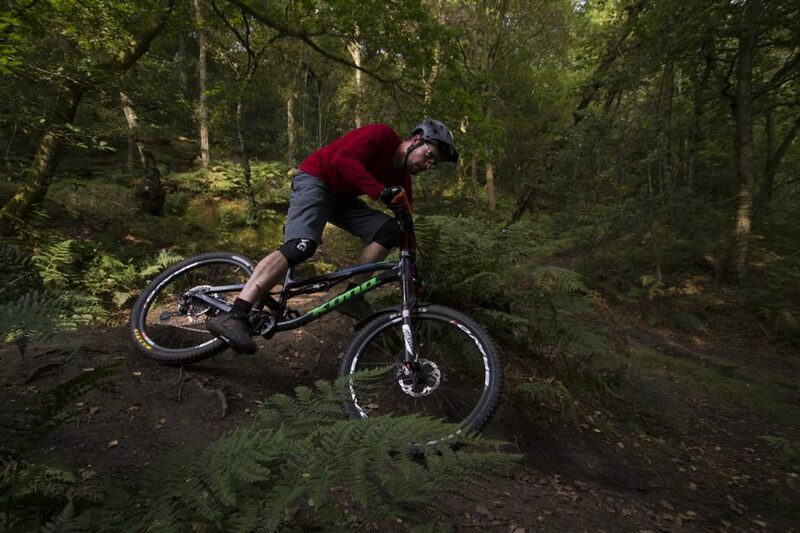 The Seven iDP helmet won’t go unnoticed on the trail. The M2 is the open-face offering from 7 Protection (the iDP stands for Intelligent Design Protection). It’s a relatively lightweight affair in what should be immediately obvious is a quite fantastically lurid orange, with blue highlights. It’s also available in other colours, if your retinas can’t take the heat. At £59.99, the 7iDP M2 helmet is terrific value for money. The M2 purports to have what 7iDP refers to as ‘Conehead’ technology that uses dual density foams which ‘act as an impact absorbency zone around the head’. There’s a custom liner, and an adjustable peak. It doesn’t quite have the same finished feel as some of the pricier helmets on test, but it looks very appealing all the same. It’s also obvious that it’s from the same factory as the O’Neal also in test; the two are from the same mould, with the same retention strap, although the finish, the liner and the peak are different. Despite the lower price point, the M2 still gets a full wrap-around PC shell and tough anchors for the straps. In use, it’s very comfy. The retention wheel, although generic, is very easy to use – even with gloves on – and the helmet sits fairly deep, offering quite a lot of coverage. It’s well vented, but bug mesh at the front makes the forehead a little more insulated than it’d otherwise be. It’s an easy job to cut this out with some scissors if you don’t get on with it though. The visor adjustment only serves to move it out of the way if you’re a head-down rider though. Overall: A good looking helmet on a budget that fits very well. 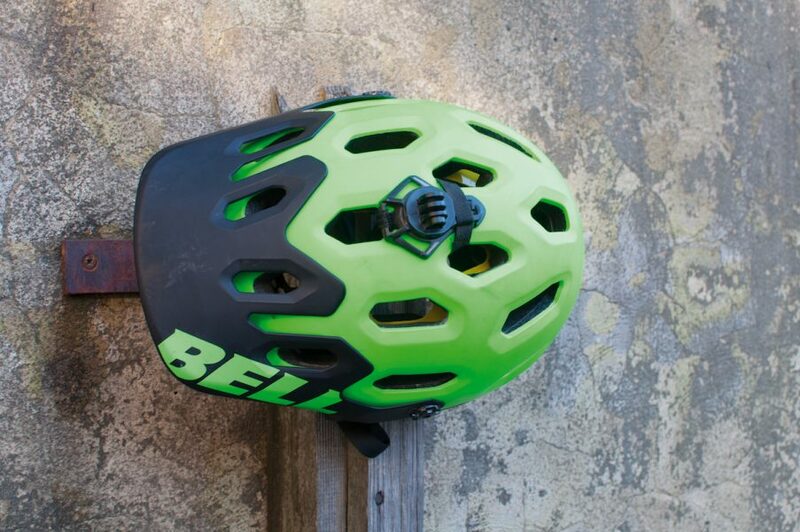 The Bell Super is a popular lid for a reason. The Bell Super 2 is essentially exactly the same helmet as the Super 2R, but without the removable chin guard. So if you’re pretty sure you’re not going to be hucking off sick drops any time soon, why bother splashing out on the more gnarly option, when this is the same thing, only cheaper? You also get the same GoPro mount included, which is held in place with a couple of Velcro straps, and is easy to remove. Don’t need a full face helmet? The Super 2 skips the removable chin-bar of the Super 3R to reduce weight, extra parts, and cost. 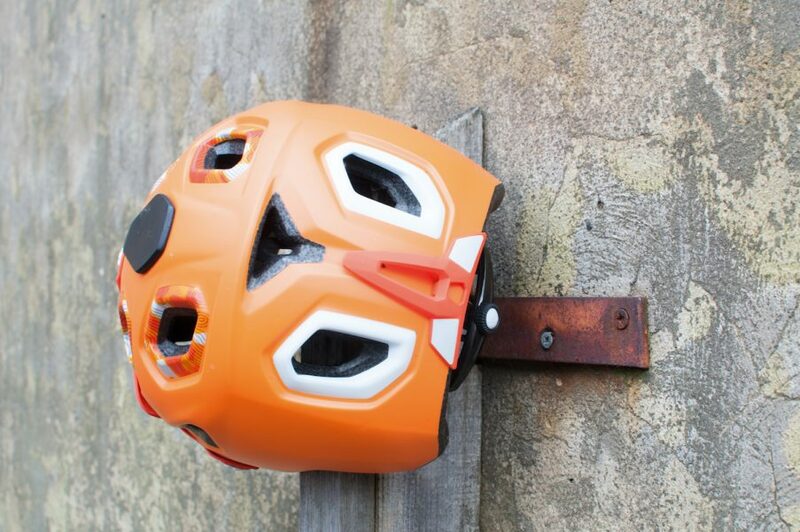 The Super 2 MIPS, therefore, has exactly the same features as its more chin-protective twin. MIPS is the inclusion of a thin layer between helmet and head, anchored in such a way that it lets the helmet rotate in the event of a crash. This should reduce the incidence of shear forces on the brain, which are a major contributor to brain injuries. Available with or without a MIPS liner. As the padding is the same as the non-MIPS version, the helmet feels very similar on the head. Although slightly mushroomy in aspect, it’s a good fit for my head, and the retention system at the back, once set up, is comfy and very unobtrusive. The Bell Super doesn’t have loads of ventilation, but that ain’t a big problem for UK riders. Although there are plenty of vents, it’s not the coolest helmet available. I don’t have much of an issue with overheating, but especially on hot days it felt warmer than some of the other helmets I’ve tried. 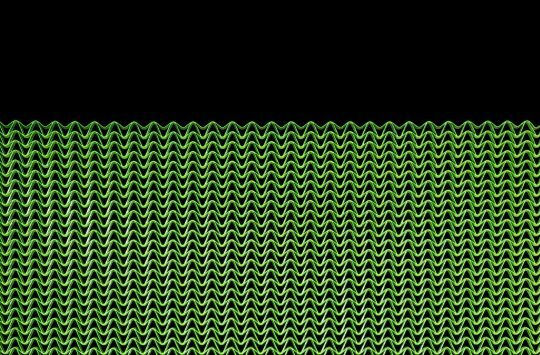 That said, fiddling with the angle of the peak made a huge difference, at the expense, perhaps, of aesthetics. 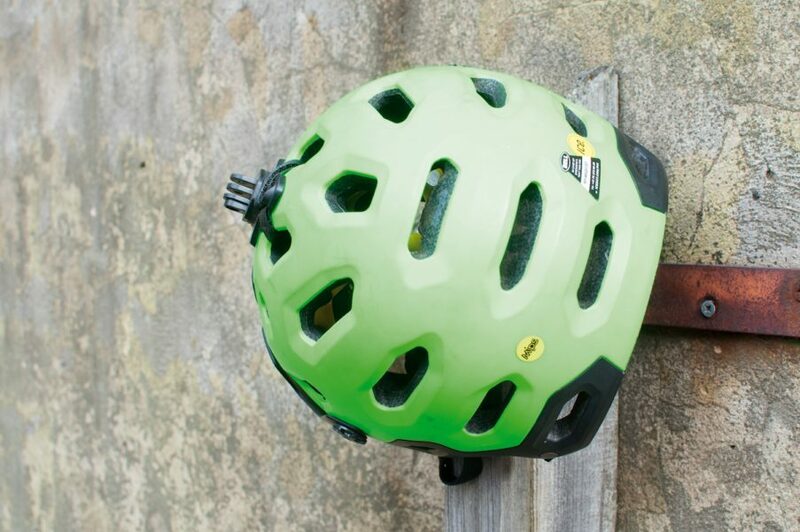 Overall: A well featured, good fitting helmet – perhaps slightly better on cooler days. So most of the ones in the UK then. The Bluegrass Eagle brand falls under the Met umbrella, and offers similar features and technologies in a more value-oriented package. The oddly named Golden Eyes also has something of an unusual look about it, which may be, in part, to do with the fact that it uses the same mould as Met’s full-face Parachute helmet, but without the chin guard. Distinctive, but the two-tone PC construction is there for a reason. The helmet is blessed with Homothetic Embedded Skeleton construction technology, where one part of the shell is partially embedded into another. 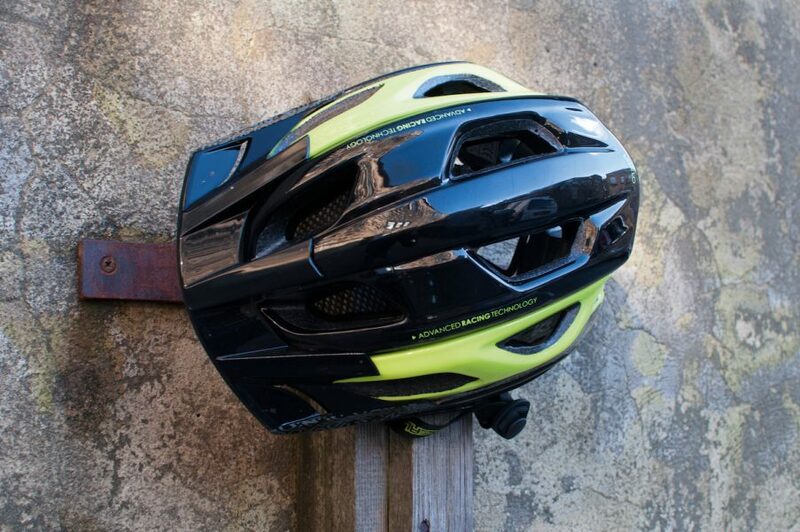 This apparently saves weight, and increases safety – which can only be a good thing. 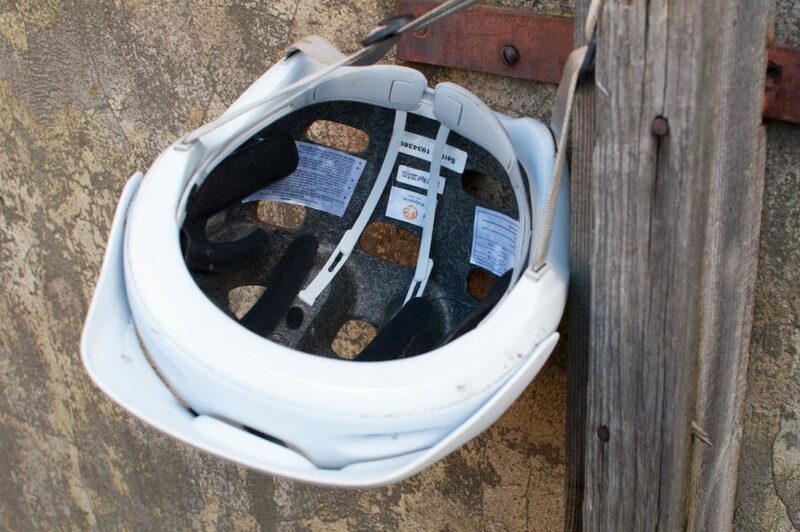 Fitting comes courtesy of a plastic loop that encircles your head, adjusted using a small dial at the back of the helmet. It’s relatively easy to use, even with gloves on. The brow of the helmet is padded with a gel rubber instead of foam, which is supposed to divert sweat away from the eyes, and the helmet comes with a removable flat surface onto which you can mount a GoPro or similar. The retention system on the Bluegrass Eagle Golden Eyes helmet is the same as what you’ll find on the MET Lupo. In use, the gel brow pad is noticeable for a while, but then becomes invisible, and the helmet is pretty comfy. It locks onto the head well, although one of the below-ear adjustment clasps snapped after a few rides, thanks to some clumsy fiddling. It’s not the most vented helmet, but that’s by no means a bad thing with the climate at the moment. Should you feel the need, there’s also a goggle clip at the back, but the visor doesn’t adjust much to accommodate them. 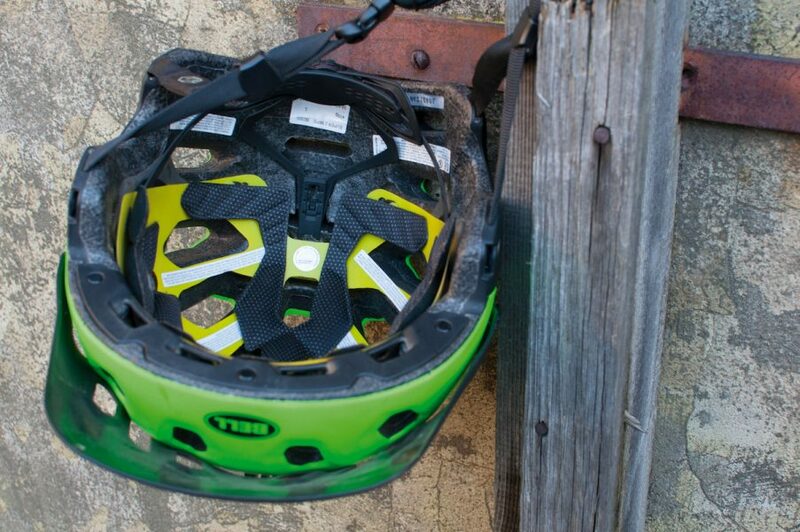 Added coverage around the temples and at the back of the head is the main reason why you’d choose a trail helmet. Overall: Not the very coolest (temperature wise) lid, but a well designed helmet nonetheless – if you can handle the looks. 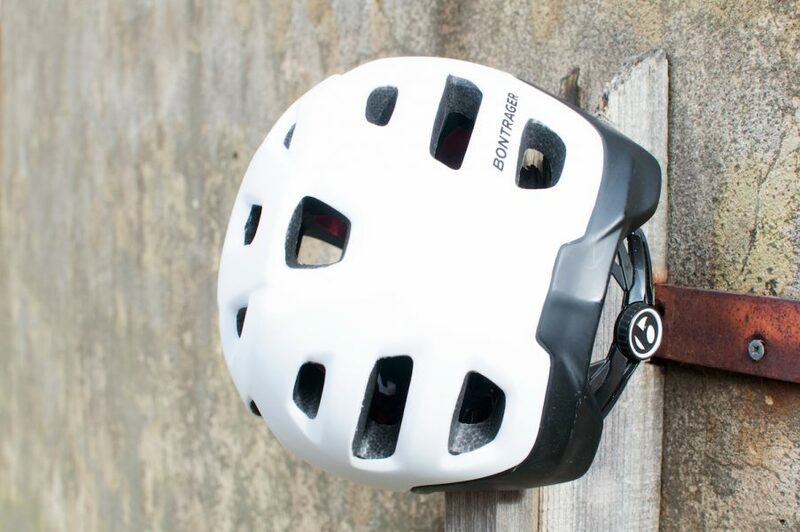 The Rally helmet from Bontrager is fully featured and well priced. 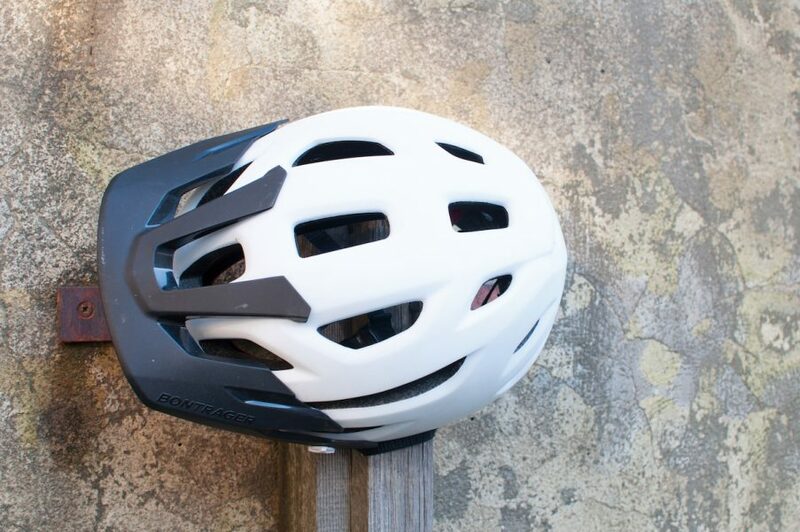 Bontrager’s Rally is a good-looking helmet from Trek’s component brand, with a couple of rather neat features. The Headmaster system is essentially a retention system that apparently adjusts height and circumference in one fell swoop. It’s certainly comfortable, and the click-wheel adjustment at the rear of the helmet is easy to use. Slightly less easy with gloves on, granted, but it’s not much of a problem. The plastic adjustment band also extends through the padding at the front of the helmet. Similar coverage to the Bell Super, but with a less polarising aesthetic. The straps don’t have any adjustment bar an ability to tighten them at the clasp, but this doesn’t seem to have much of an effect on wearability – the two helmet straps join the clasp strap at a plastic ear buckle thing which sits nicely below my ears and those of everyone we tried the helmet on. A tough polycarbonate shell lines the underside of the helmet rim to protect the EPS foam core. 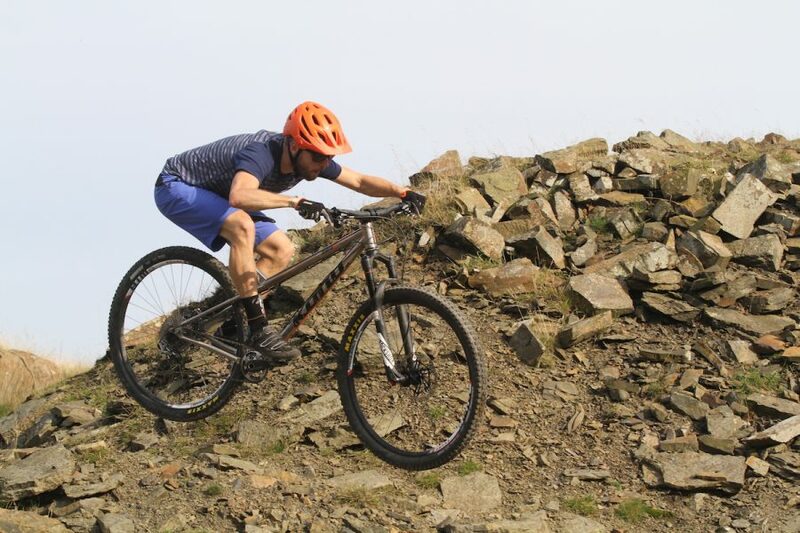 The peak is adjustable to a colossal degree – it’s very easy, if you’re so inclined, to get your enduro on and park a pair of goggles coquettishly underneath it on those hot climbs before railing back down. 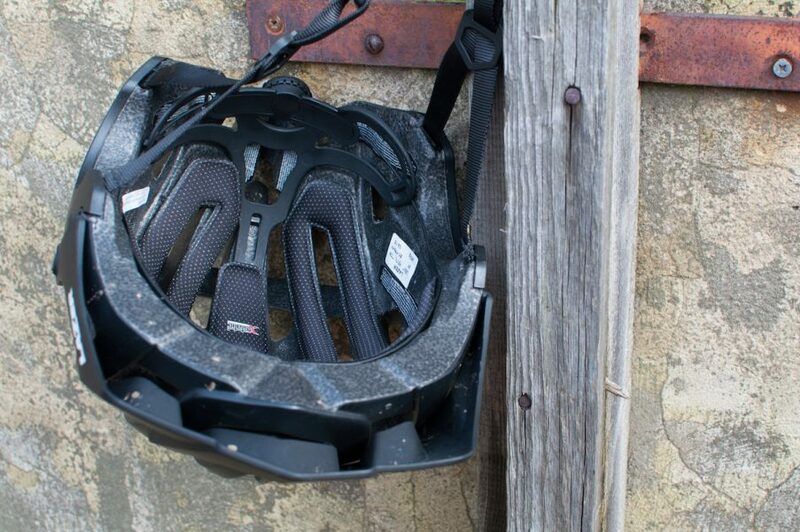 The Bontrager Rally is a well-loved helmet with multiple Singletrack testers. Overall: It’s a great helmet; it’s reasonable well vented, it looks good in an understated kind of way, shorn of unnecessary frills, it’s versatile and it’s very comfortable. Recommended. Giro arguably kicked off the trail helmet way back when, and the Montaro is the latest iteration of that original concept. You can chart the evolution of the Giro-designed trail helmet over the past five years, resulting in the arrival of the latest, more enduro shaped ‘All Mountain’ Montaro (male) and Montara (female) lid. Style wise, the Montaro is a drop-dead lovely lid. 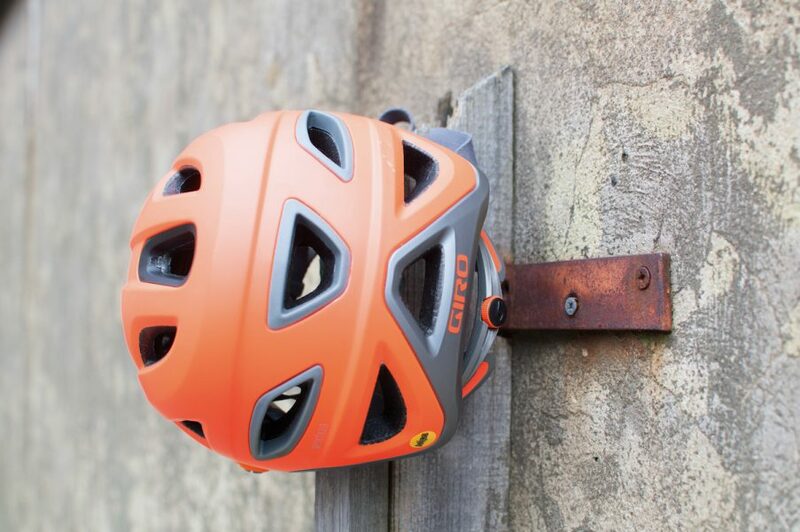 Aesthetically, the new model’s arrival, at the top of Giro’s trail riding helmet tree, borrows more in profile and feel from the ‘Feature’ helmet that began the longer peaked, less cross-country orientated look, a couple of years back. The design execution and functionality builds on the R&D from the ‘XAR’ model, now knocked off top spot. 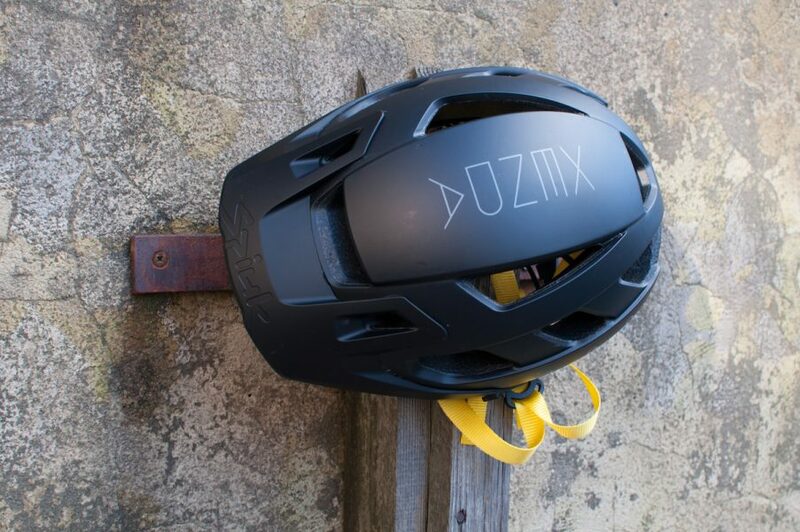 In addition, it gains MIPS technology, a longer and higher rotating (indexed) peak, an external rear channel for slotting in your goggle band, a removable GoPro mount and a deeper, lower rear skull profile. Added ventilation is provided around the brow courtesy of discreet sculpted vents. It’s reassuringly secure and comfortable on this tester, right back to the tried and tested Roc Loc’s ratchet dial/cradle which now tightens around the skull completely (rather than just at the back). One-handed operation of the fitting dial on the trail is a cinch with gloves on. 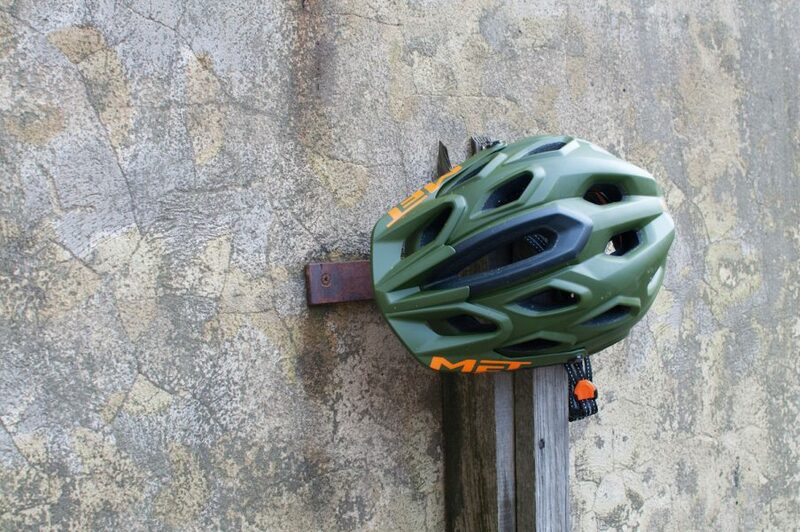 With the MIPS liner, the Montaro isn’t a cheap helmet, but it’s quality is right up there. 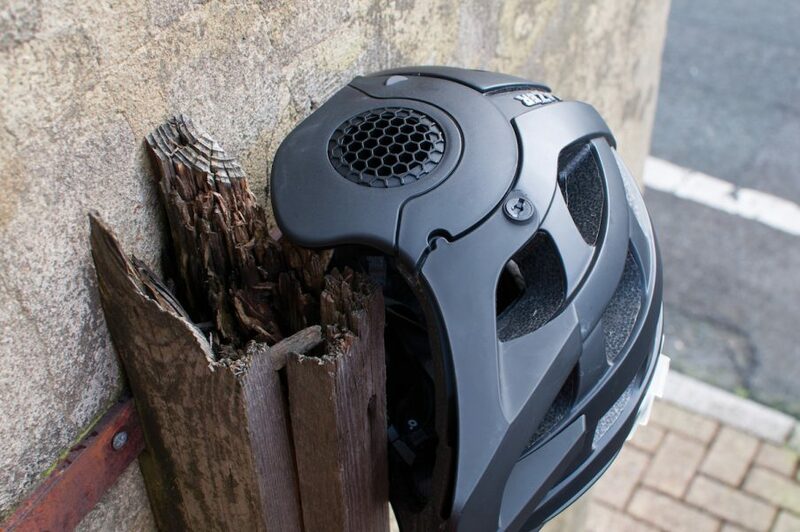 Sixteen vents make a decent job of ventilation, offset with the type of protection and fuller coverage you demand of a helmet with the intended use. It’s up 50g on a similarly sized XAR, but it’s not a burden. Get a hair cut. 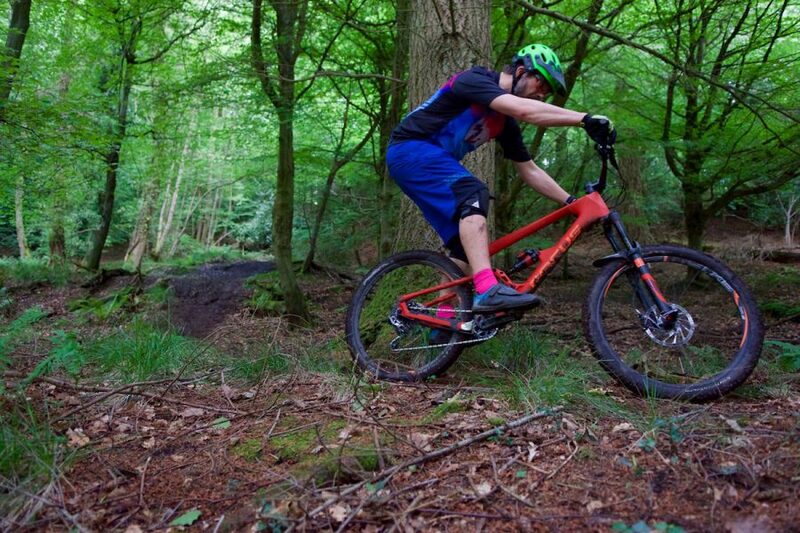 Overall: You’re paying for a pedigree of tried and trusted designs and MIPS skull tech. If the fit works and you value your cheese-box, it’s a worthy outlay. 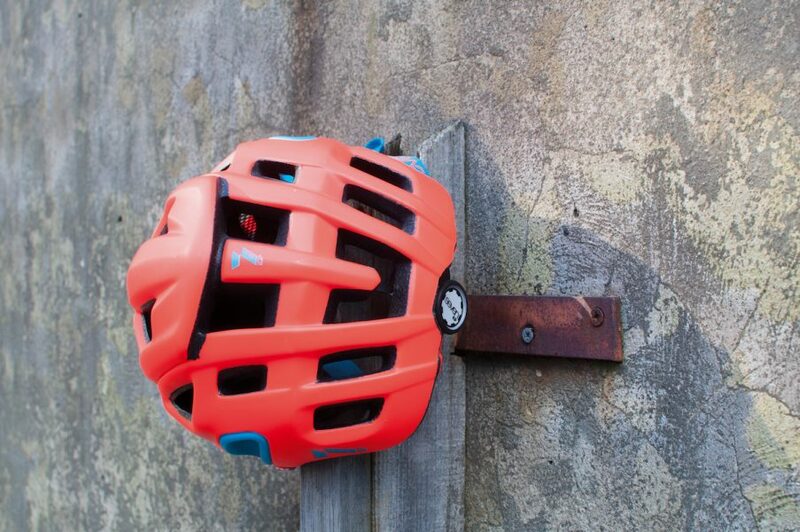 In a sea of ‘me too’ helmets, the Kask stands out. 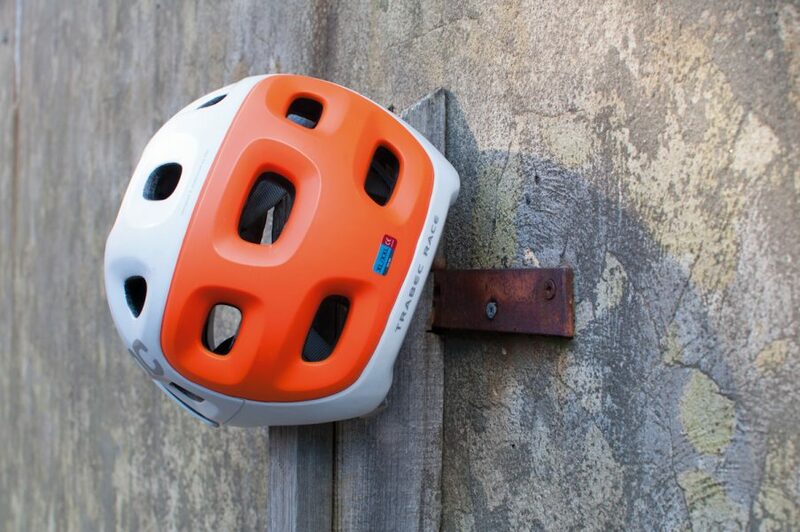 KASK is far better known for its road helmets and relationship with Team Sky, but the Italian manufacturer also produces ski, outdoor, safety and equestrian helmets. So this youngish company knows a thing or two about keeping your bonce safe. 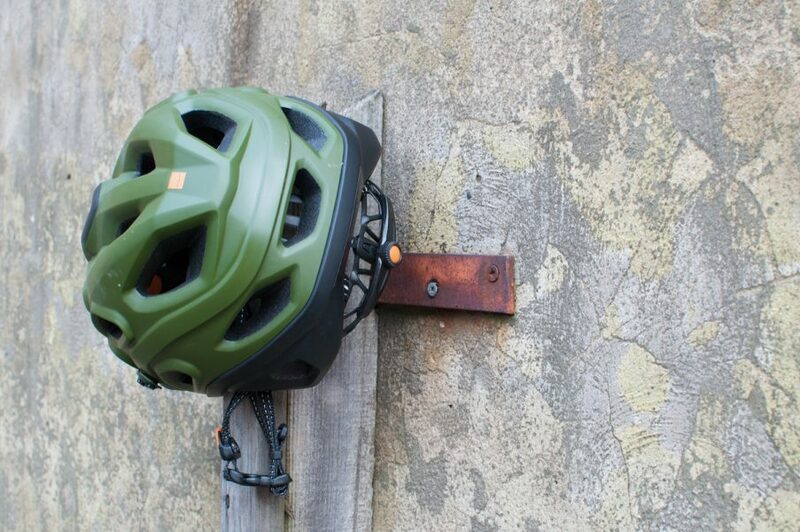 The Rex is KASK’s first foray into the all-mountain/trail helmet scene. I first saw a prototype two years ago and have eagerly been awaiting it since. 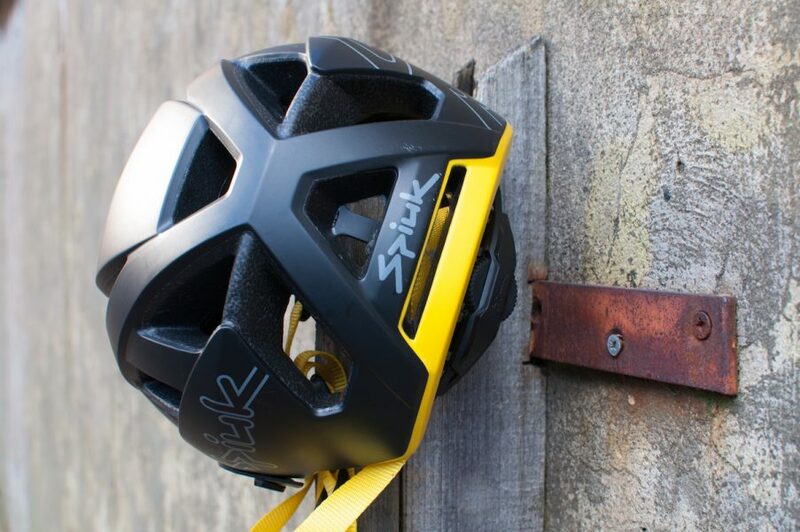 Packed full of tech and features, the Rex is definitely a high-end helmet. With 20 vents, it’s one of the coolest lids I’ve used for quite a while, and one of the lightest at 319g. I’m certainly looking forward to riding with the Rex during the warmer months. Turbo boost exhaust ports at the back along with a clip for goggle straps. It’s the fit of the Rex that I’ve been most impressed with: it cups my head nicely, and there’s plenty of room around my large wingnuts. The Octo Fit retention system helps too – it’s got two floating cradles that can be adjusted vertically and horizontally, and they also pivot to cup the rear of your head. The Octo Fit retention system is brilliant. The helmet has good coverage and a multi-adjustable (goggle-friendly) visor that’s secured by alloy bolts. Out back there is a built in goggle strap clip, there’s an integrated camera mount on top and the chin strap is a trademark comfortable leather affair. Overall: The Rex is very comfortable, well vented and light. 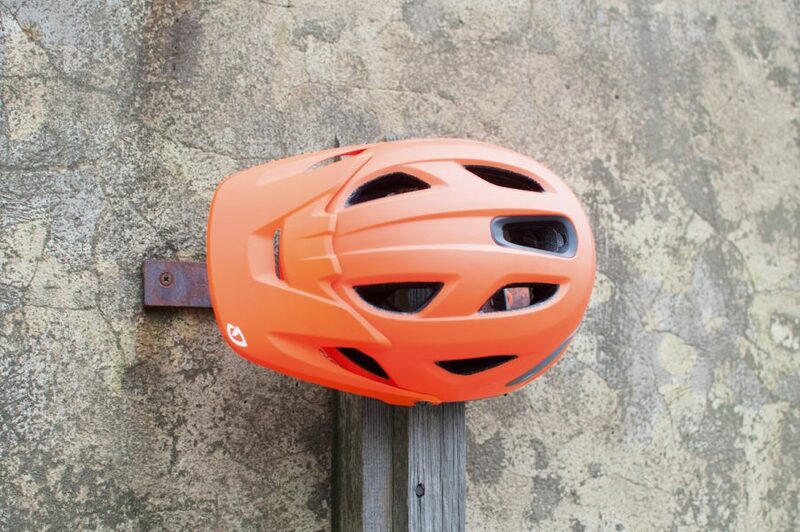 It’s packed full of features, with the top-notch Octo Fit retention system and KASK lush leather chinstrap. If you’ve got the sponds, it’s well worth a look. The Lazer Revolution helmet is as close as you’ll get to Star Wars on a bike. Lazer’s Revolution has a rounded shape with a good level of protection to the side and rear. With generous round the ear and back of the head coverage you feel safe and secure. There are features and details that make it easy to use with goggles, should you choose – a lipped channel at the back of the helmet provides a route and security for the strap, and the ratcheting visor adjusts to fit them. Added rear coverage on the Revolution helmet provides increased protection. 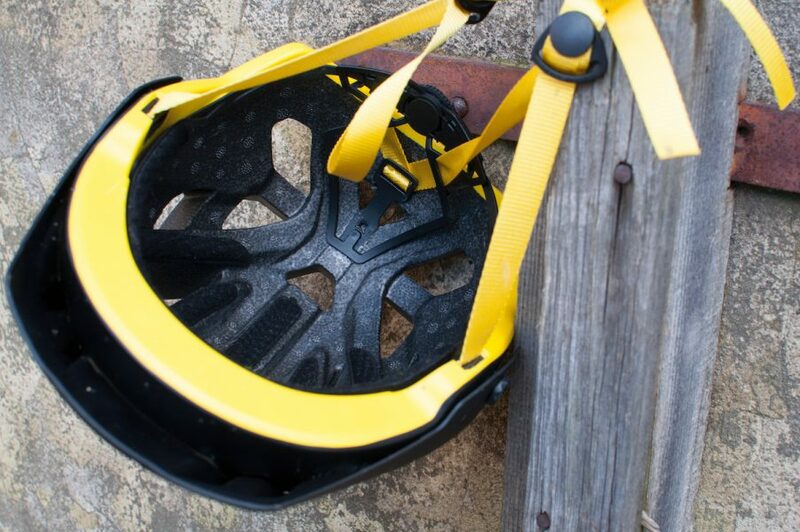 Uniquely, included earguards are easy to snap or on or off, and a chin guard (not available at time of testing) attaches with three bolts per side and has ASTM DH safety certification. X-Static padding uses an antimicrobial treatment to keep away the stink. I found the Revolution comfortable from the first wear with padding in all the right places, 23 vents for good flow of air and light (enough) weight. The fit is dialled in with a quick-to-adjust retention system that also offers tweaking of height at the rear, to tailor fit just so. Lazer’s ATS fit system is both very comfortable and secure; it stays put, it’s stable and it’s snug in use without pressure. Both the buckle and the position of the retention straps is excellent. The clasp simply falls to the right place under your chin and it doesn’t annoy your lobes. James gives the Lazer Revolution helmet the tick of approval. 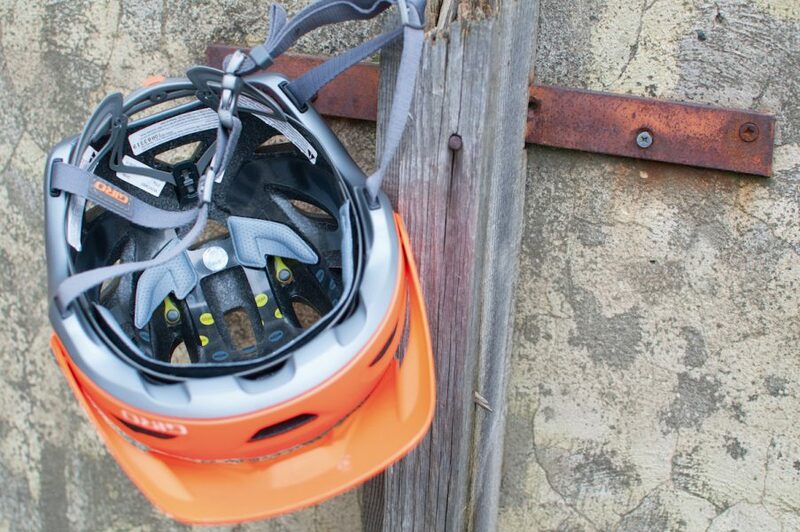 Overall: A considered and comfortable quality helmet with plenty of coverage and versatility. 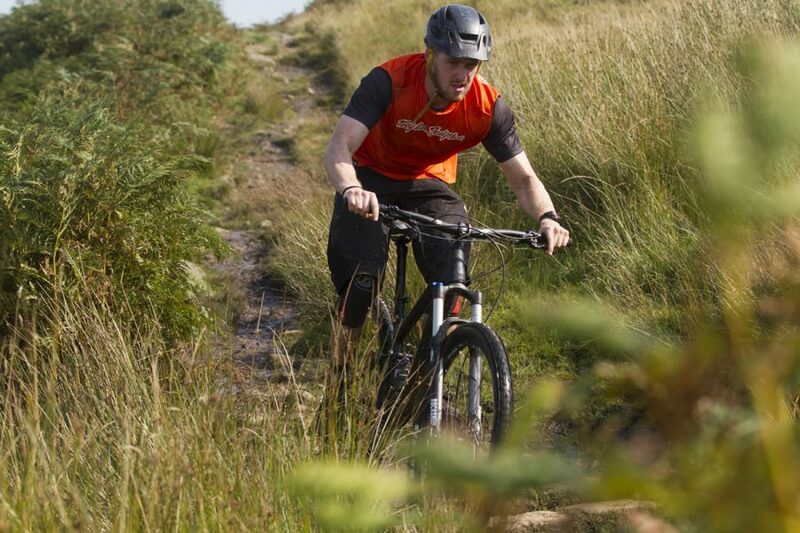 It’s good for enduro, it’s good for razzing about, it’s good for mountain biking. Similar to the Bluegrass Golden Eyes elsewhere in this grouptest, the brand-new Lupo by Met has HES (Homothetic Embedded Skeleton) as a design feature, wherein parts of the shell are embedded into other parts to save weight and enhance safety. It also means there’s little exposed polystyrene in vulnerable positions. It also uses the same (excellent) brow gel pad and plastic head loop adjustment mechanism. 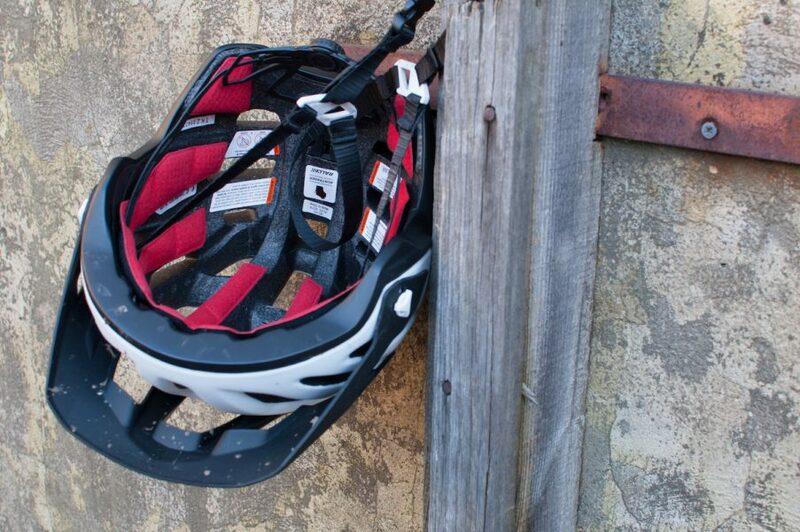 The Lupo helmet is MET’s high-end trail helmet with masses of ventilation and decent coverage. But this is a very different helmet. It’s considerably more vented; a key feature is the enormous centre vent which extends from the very base of the helmet to almost the top. Not so into bright fluoro colours? The MET Lupo is available in some decidedly more ‘sedate’ colours. 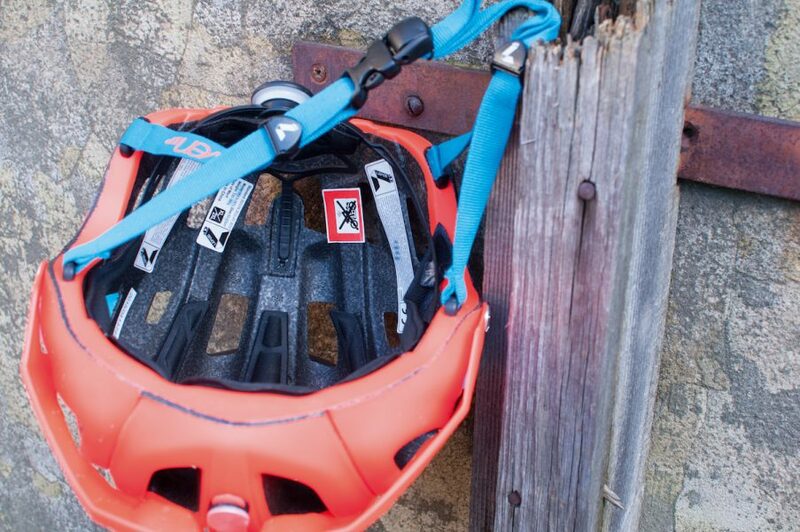 In use, adjustment is simple, and the helmet swiftly becomes comfortable. There’s good overall coverage; perhaps not as much as some, but plenty all the same. Those vents make this one of the coolest helmets on test. I frequently needed to wear a Buff underneath on dawn raids, which is something I could get away without in many of the other helmets. Visor placement is good, and the visor is impressively adjustable throughout a huge range, although this adjustment is a little fiddly, so it’s something you’d probably do once and then leave. A small dial at the back of the harness allows you to fine tune the fit of the Lupo. Overall: A very well designed modern lid. Very adjustable, some nice features, and extremely well vented. Great (for warm days). The Orbiter helmet from O’Neall is a lesser known option that offers great value for money. The O’Neal Orbiter II helmet uses the same mould – and presumably is made in the same factory – as the 7iDP M2 helmet elsewhere in this grouptest. It’s therefore a very similar looking lid with a similar deep fit. Adjustment is also identical; there’s lots of fiddling you can do to get it to fit just so, and the wheel itself is easily played with – even with gloves on. 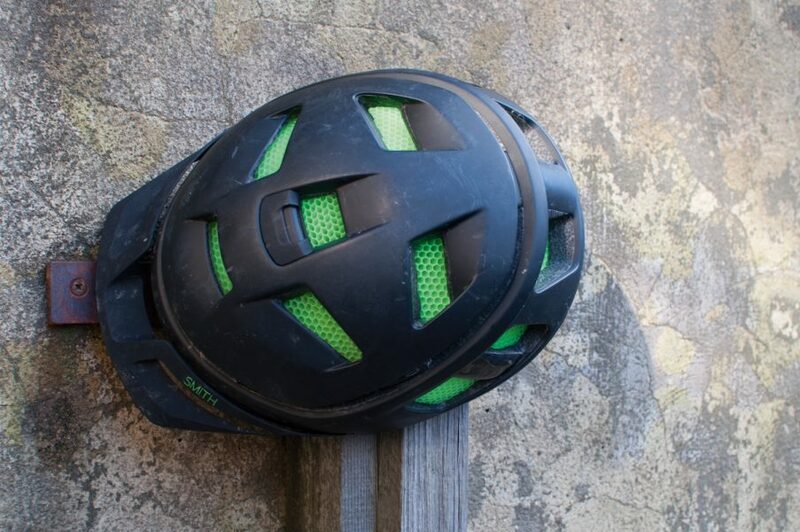 Conehead dual-density foam technology also makes an appearance – which apparently absorbs and dissipates more impact force than typical helmets, increasing safety. The helmet sports different internal padding – also with bug mesh – to the 7iDP helmet though, and a different visor, with similarly little adjustment. And the finish is highly glossy as opposed to the 7iDP’s matte finish. Recognise the shape? The mould is the same as the 7iDP helmet also tested here. 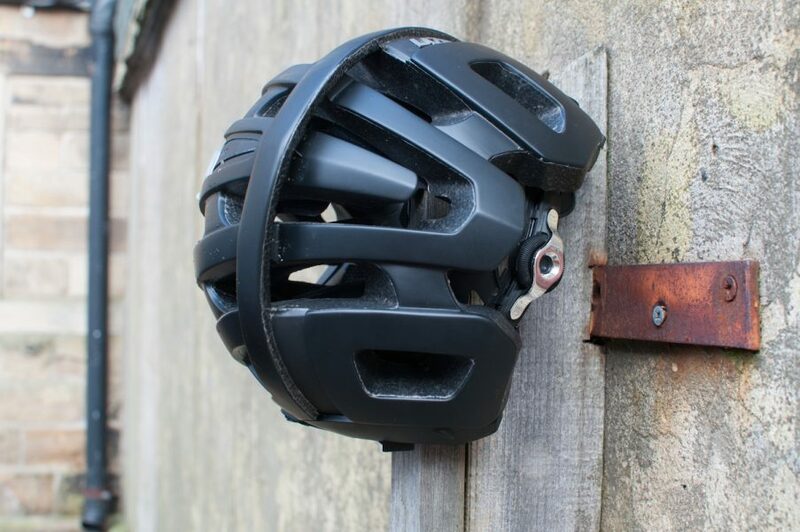 The magnetic clasp which secures the helmet is excellent; it’s very easy to secure, it’s stable and very easy to remove one-handed once you have the knack. In use, the helmet is well vented, and the removal of the bug mesh at the front would make for a very cool helmet indeed. It’s light, and there’s plenty of coverage. Fit-wise, it’s also the same as the 7iDP helmet. Overall: Ultimately there’s little to differentiate this from the 7iDP also on test. They’re both good comfortable helmets, with plenty of adjustment. The clasp mechanism is an improvement, and the aesthetics are different, but it’s a couple of pounds more – your call. 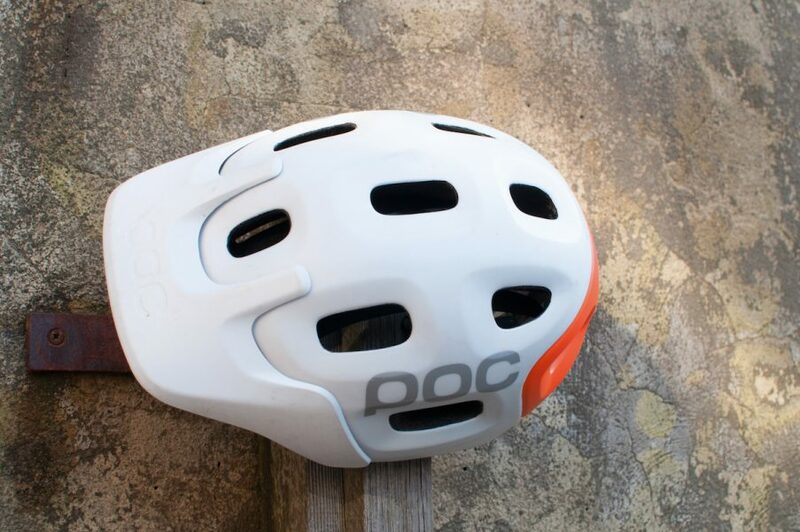 POC always offers a unique design aesthetic, and the Trabec helmet is no exception. POC’s venerable Trabec is about to be succeeded by the all-new, yet to be released Tectal, but does it still cut the mustard? 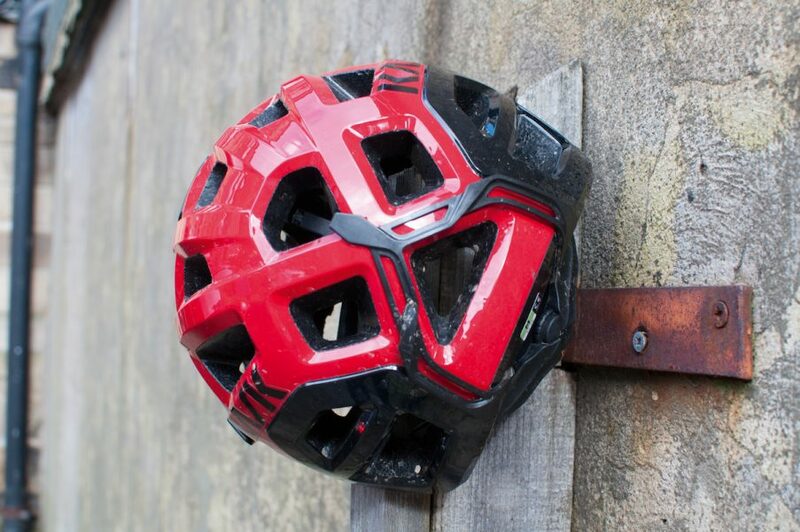 Well, aesthetically it’s still a striking helmet, even if it doesn’t quite raise the eyebrows as much as it once did, and many other trail helmets these days boast broadly similar sucked-lozenge design cues. But the large playschool square at the back is still hugely distinctive, and the Trabec’s organic shape is still unusual enough to stand out. 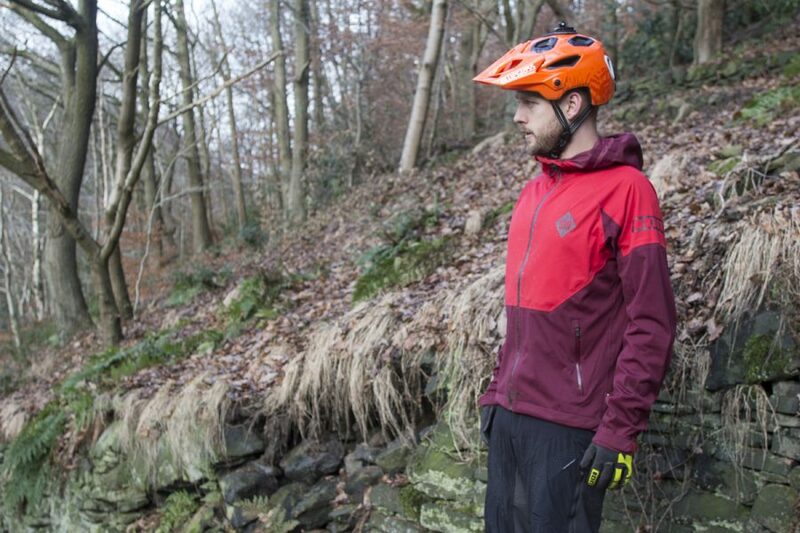 The Trabec is chunky, and offers a reassuringly large amount of coverage and protection. 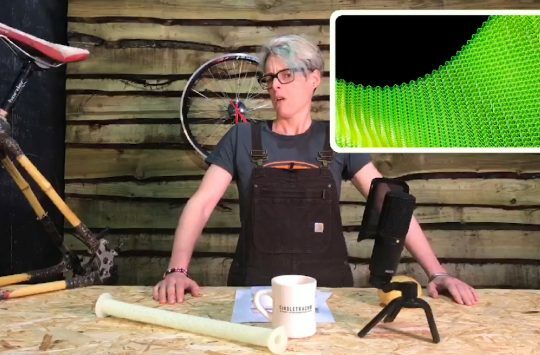 The Trabec uses aramid (aka Kevlar) fibres woven through the expanded polystyrene core, which enhances cohesion and essentially make it less likely to disintegrate (the Race’s fibres occupy a slightly larger area than the standard Trabec). Also, seams are diverted away from likely impact areas. Padding inside is basic, as is the fitting adjustment, but it’s well designed (with a vaguely IKEA feel) and is very comfortable. 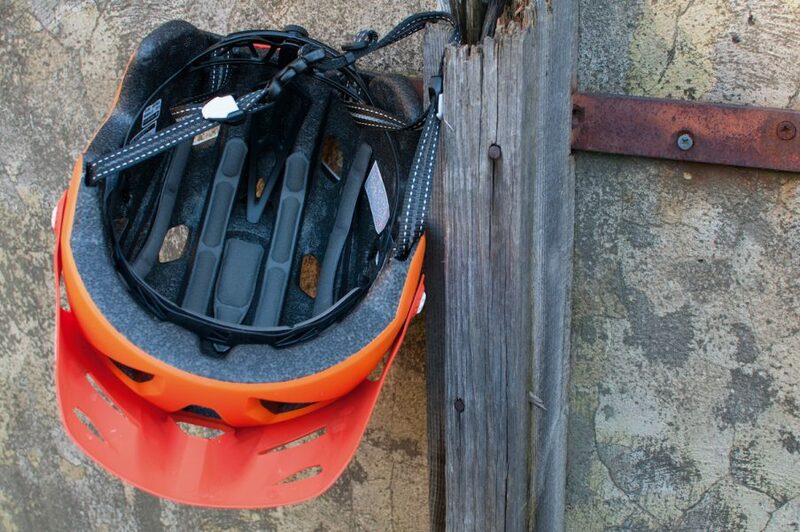 Padding is basic, but it’s a very comfortable lid – providing your noggin suits it. The peak is also chunky-looking, and offers no adjustment, but it’s unobtrusive on the bike, and it breaks away in the event of an accident. 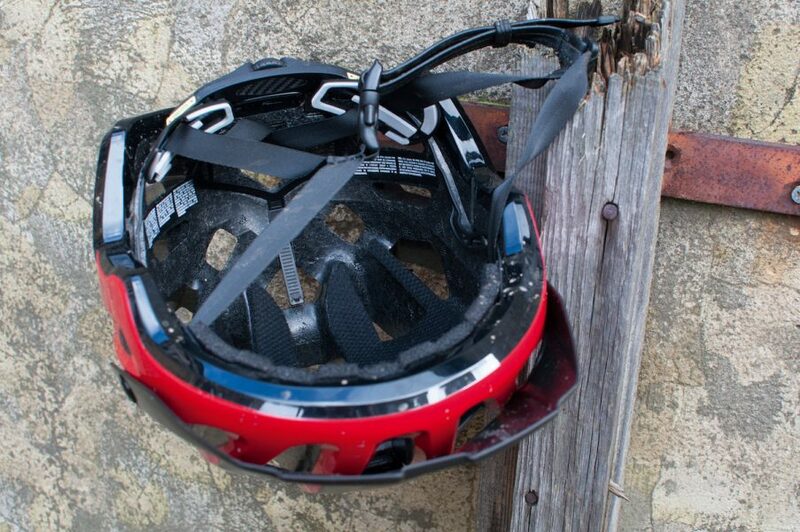 The venting is curious – the holes look small, and I expected the helmet to be warm as a result. But the helmet was actually very comfortable, and perfectly acceptable on hot days as well as cool ones. This may be in no small part due to the deep grooves in the inside through which the air can flow. The Trabec is as well made as it is distinctive. Overall: Good airflow, distinctive looks and good coverage in a comfortable – if pricey (street prices are much lower) – helmet. 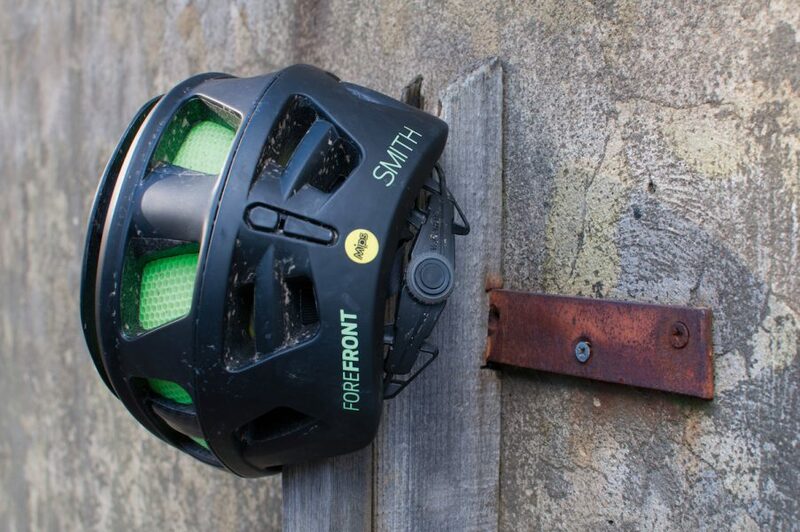 The Forefront was Smith Optics first mountain bike helmet. One of the most distinctive looking helmets on test, the Forefront also has the most unique internal construction. Instead of relying on EPS (polystyrene) for its impact protection, Smith’s Aerocore construction uses Koroyd, which is a lightweight, rigid, yet absorbent material. Unfortunately for Koroyd’s street cred, it’s easily explained as being like a thousand plastic drinking straws all glued together. Regardless of this, it makes a very good helmet construction material and no, it doesn’t whistle in the wind if you ride fast. Packed with the unique Koroyd technology, the Forefront also has a MIPS liner for added rotational protection. The fit is great if it fits you, if you see what I mean. There’s no gentle sculpting with the back of a spoon possible like there is with EPS. However, if it fits (which it does on me) then it tends to fit very well. The helmet extends well over the back of the head and there’s a dial to further cinch it in. There are locking ear buckles to keep straps where you put them. The green Koroyd tubes offer decent ventilation, but the Forefront isn’t the coolest running lid on test. A tiny peak keeps you looking moto/enduro and will tilt up for goggle fitment. If you wear more normal sports glasses, there’s a channel above the peak that perfectly fits the earstems of Oakleys or, not surprisingly, Smith’s own PivLock shades when you need to stow them on a long climb. There are a ton of colour options and the looks no longer shock after a very short while. 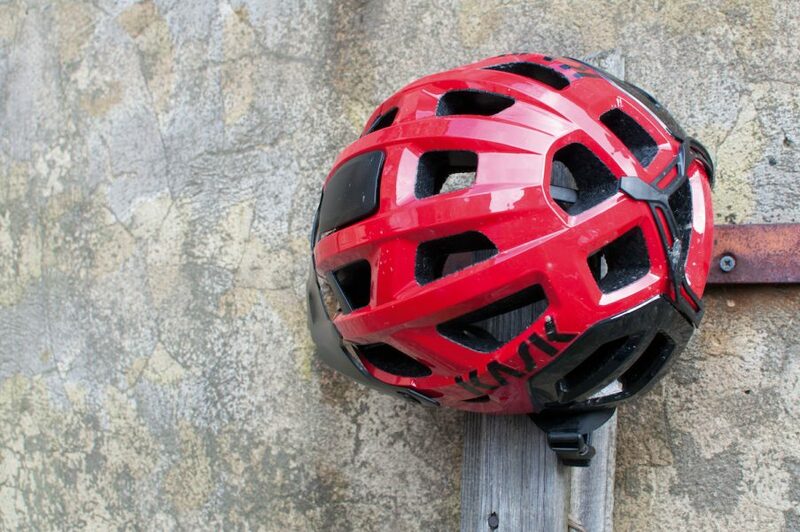 It’s pricey, but the Forefront is a great helmet and offers top-tier technology. 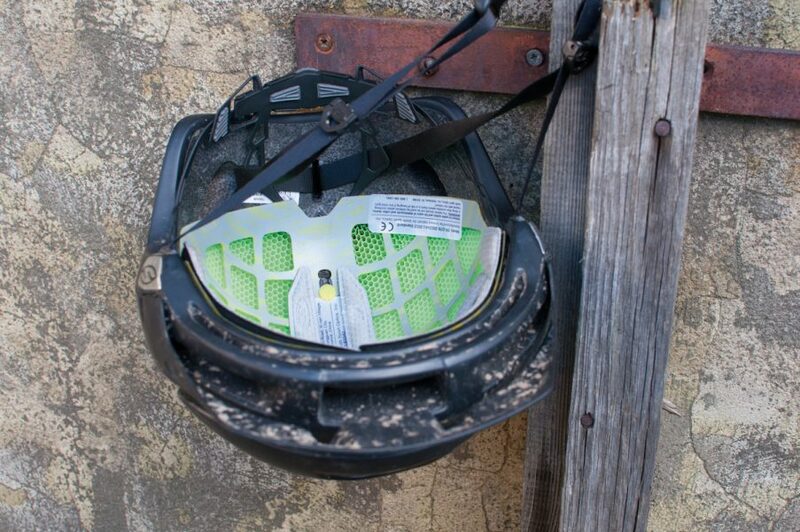 Overall: If you’re happy with the looks and the fit (and the cost), you’ll find a comfortable, well vented and very versatile trail helmet in the Forefront. The Spuik Xenda manages to stand out amongst the crowd with a unique mold and matte finish polycarbonate shell. 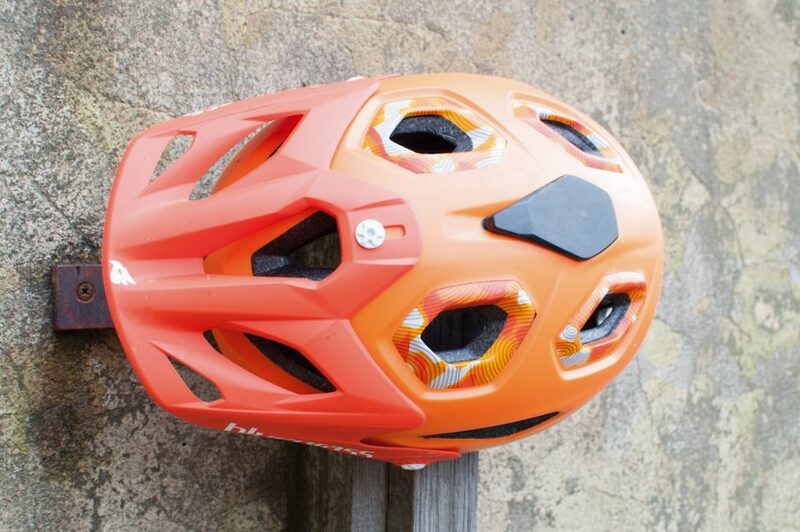 Within a range of helmets aimed much more at road or cross-country riders, Spiuk has given us the Xenda, an “MTB & multipurpose” helmet. From a styling point of view, the Xenda immediately looks more suited to the seasoned trail or enduro rider, with its larger upper area, which seems poised to receive your GoPro. The two-shell, in-mould design creates a strong lid, able to accommodate plentiful vents without losing structural integrity. The dual in-mold design supposedly increases impact protection. Three-position tilt angle adjustment makes easy work of getting the lid to sit properly, and when it is in position, it stays there. 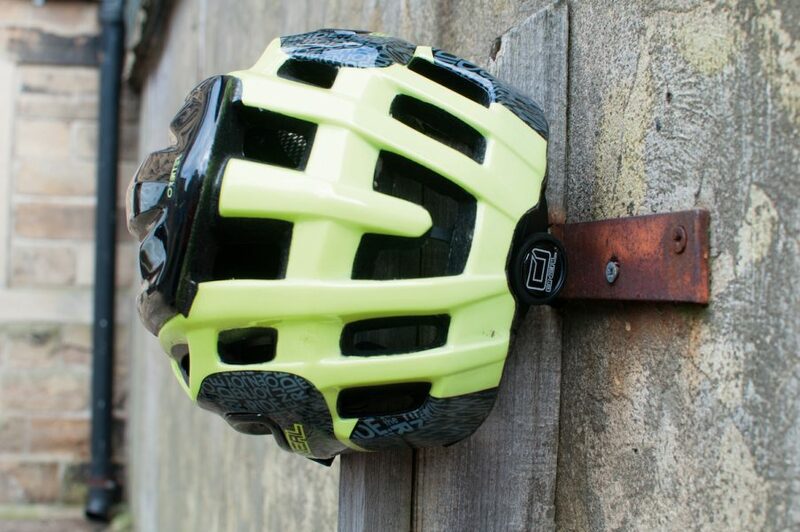 Unlike a few other helmets I have tested, the Xenda sits well on the old swede, not looking too bulky or overly constructed (some might even say, it’s flattering). When riding, the larger panel on top does restrict ventilation slightly though. The coloured straps matches the lower PC shell for a slick look. The Xenda is available in blue, red and white, but we opted for the more stealth-like full black, with yellow straps and pads. The subtle graphics on the top and sides, along with the matte finish make this a fine looking lid. 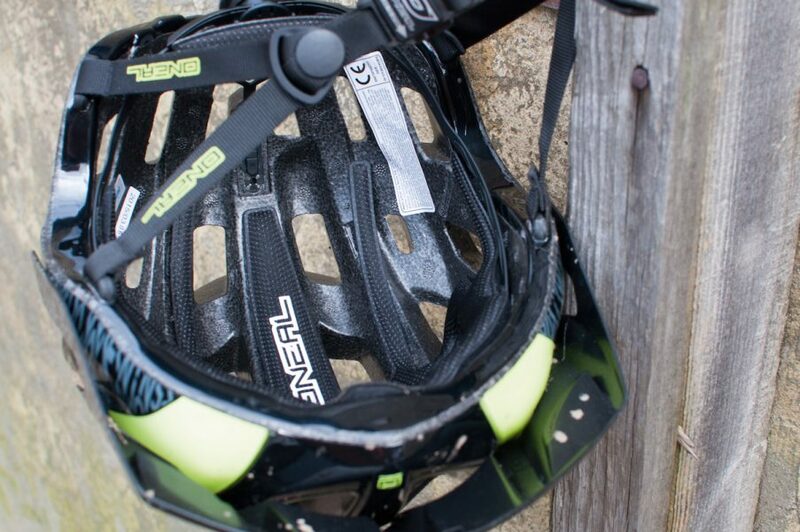 At just 315 grams, the Xenda is one of the lightest trail helmets out there. Overall: The Xenda is comfortable, feels weightless and is almost unnoticeable, and with it coming off the scales at 315g, it sits pretty within the grouptest weight league. And there you have it. 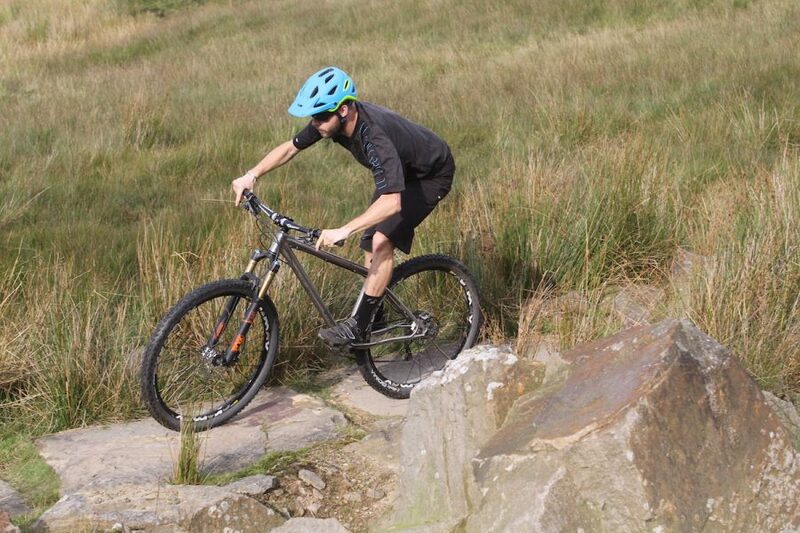 A great selection of mountain bike specific helmets. Which one is best for you depends on your particular criteria: Are you on a budget? Do you need more venting? Somewhere to stick a camera or light? These will all have an impact. One of the things we were impressed by was the ability of many helmets to conform to a variety of head shapes. Gone (or at least, going) are the days when punters were pretty much stuck with whichever manufacturer happened to make headgear that fitted them. If you like look of a particular lid, chances are one in your size might fit. 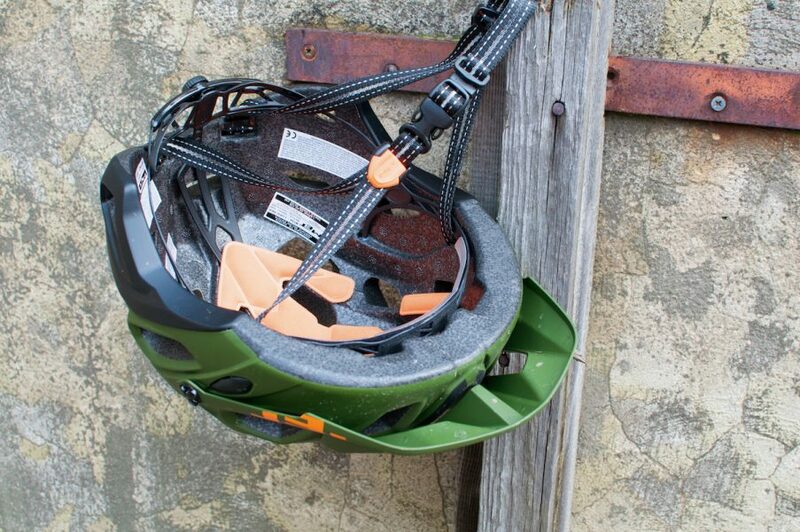 Modern trail helmets are more advanced than ever before. And they offer better protection than ever before. So which did we like in particular? Well, our picks were varied. 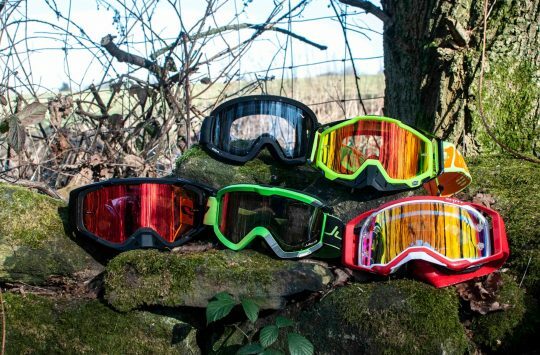 The Lazer Revolution may look divisive (although those ear-protectors make you look like you belong in Star Wars), but it’s a very comfy, well fitting, versatile helmet with a host of features. The promised chin-guard option opens it up to even more riders down the line. A ‘revolution’ though? We shall see. The KASK Rex was a similarly well-thought-out lid: fitted, ventilated and adjustable. Our tester is very fond indeed of his. It’s pricey, for sure – but if you’ve got the cash, it’s well worth investigating. And lastly the Bontrager Rally. 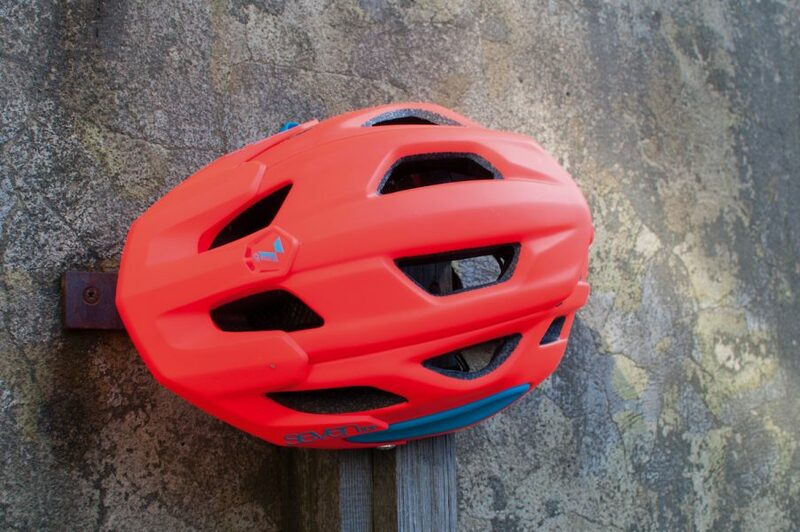 A great-looking lid, with a great fit and some really nice features at a good price.